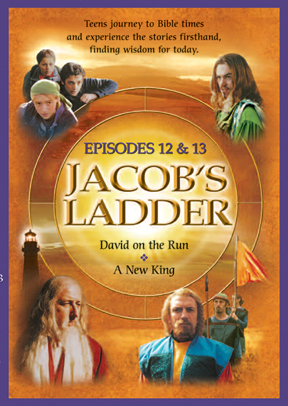 Episode 12: David on the Run -- King Saul is out to kill his most successful and loyal soldier, David. While David finds refuge through the people of God, Saul shows no respect for God or his people. See the results of their decisions as this tale unfolds. Episode 13: A New King -- In King Saul's darkest hour, he finally attempts to call on God as he once did, but God is silent. Where will Saul turn now? Can he sink any lower in his defiance of God? The story of David comes to a thrilling conclusion as he continues to walk in covenant with the Lord - the same covenant that began so many years before when Jacob saw a ladder to heaven.